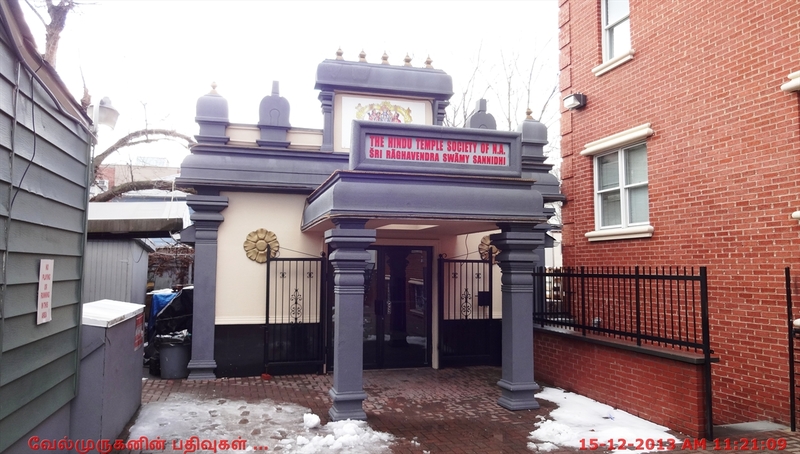 In New York City, there is a temple built for Guru Raghavendra on Bowne Street in Flushing (Very Near to the famous Flushing Ganesh Temple). 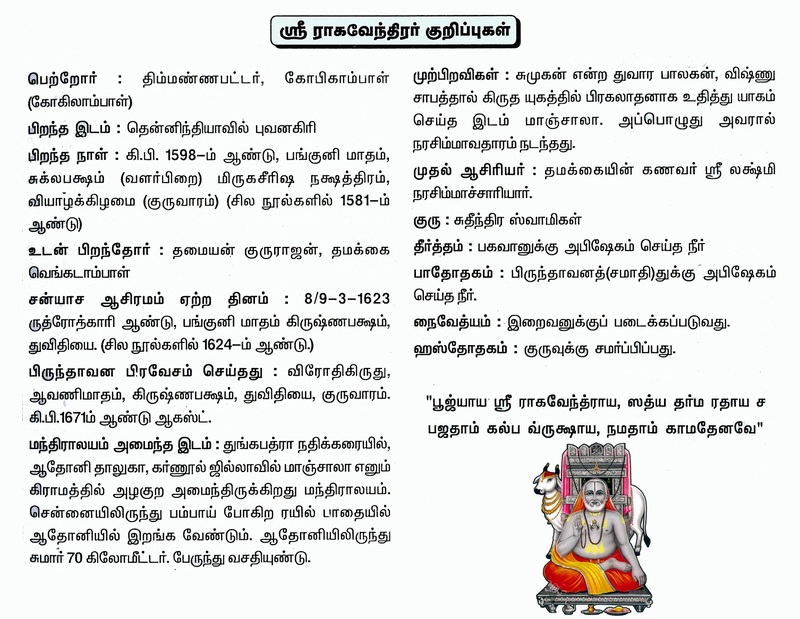 Sri Guru Raghavendra (1595-1671) is a famous and a respected 16th century Hindu saint who lived in South India. 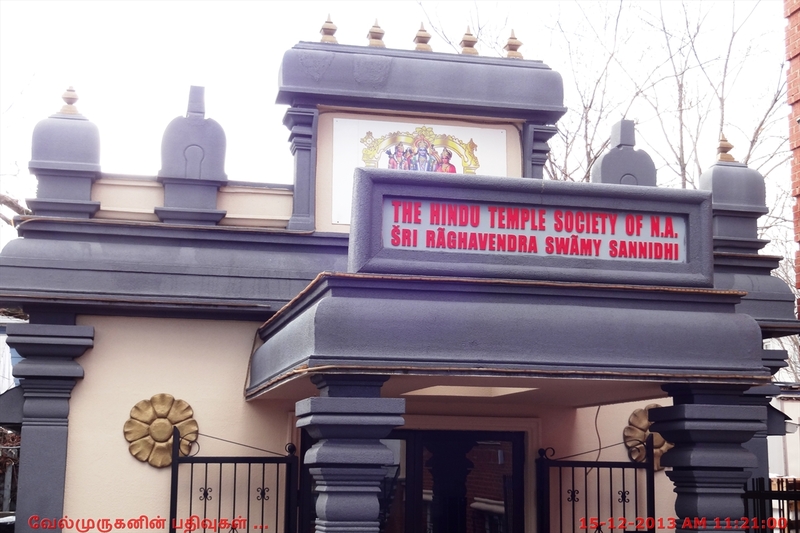 Guru Raghavendra advocated Madhva philosophy (worship of Sri Vishnu as the supreme God) and Sri Madhvacharya’s dualism philosophy attained jeeva samadhi (voluntarily stopped His breathing in deep meditation) and entered Brindavana (a specially constructed stone enclosure) in Mantralaya in Andhra Pradesh on Dwitiya Day of Sravana Krishna Paksha in the year 1671. 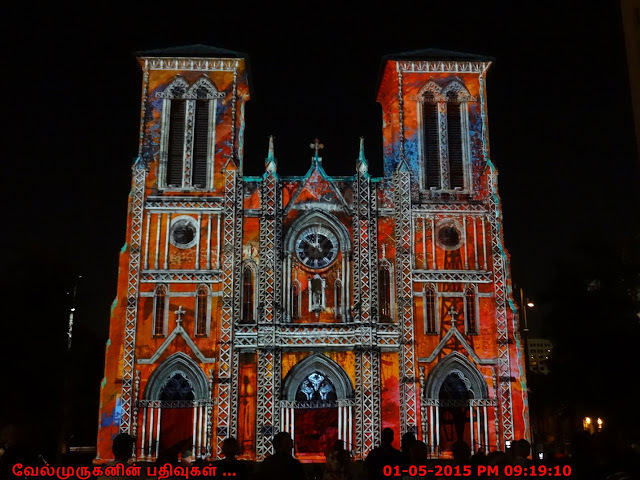 This date is celebrated each year as Sri Raghavendra Swamy Aradhana at Brindavanas all over the world. 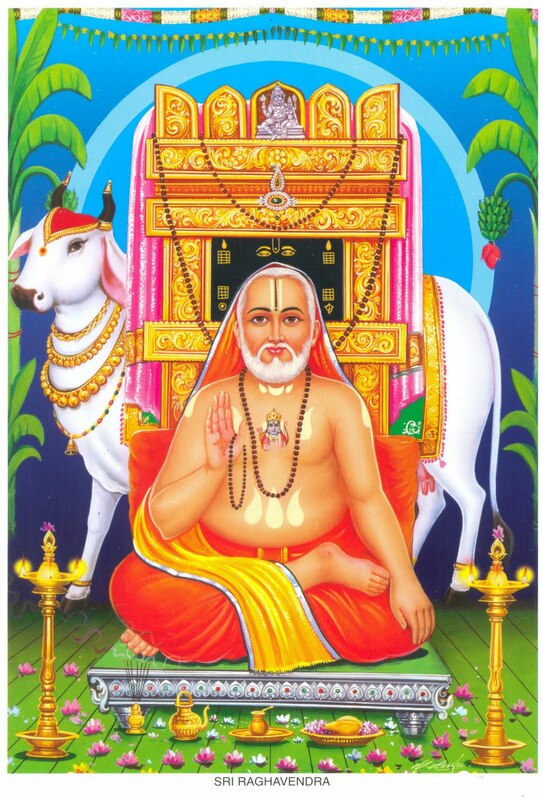 The Main Guru Raghavendra's samadhi (final resting place) is located in Mantralayam, a small town in the state of Andhra Pradesh, India.